Synopsis: YOUNG WEREWOLF DREW FERRAN IS THE FUTURE KING OF WESTLAND.He has the makings of a great warrior - but first he must master the blade and the beast.When Lady Gretchen is abducted by the Werelion Prince Lucas, Drew and his friends embark on a perilous chase to stop the prince fleeing to his homeland of Bast. As Drew encounters terrifying new Werelords along the way, he is led to the exotic city of Cape Gala, where the forces of Onyx, the Beast of Bast, await.Now Drew must summon all of his courage and strength - because the Catlords are ready to attack . . .
Wereworld: Rise of the Wolf was a good novel; not brilliant, but not bad either. Rage of Lions is a huge leap forwards, leaving behind it the perhaps slightly clichéd fantasy plot behind and offering some really quite wonderful moments. Rage of Lions continues to build on the excellent fantasy world we were introduced to in book one, with more and more depth appearing throughout the book. Rage of Lions has some fantastic character moments hidden amongst all the action, particularly in the first half where there are few action sequences. Curtis Jobling really manages to create some juicy character scenes, some of which reminded me of the great fantasy series The Belgariad by David Eddings. While these wonderful tidbits diminish as the turmoil in Lyssia takes hold, they are still frightfully enjoyable and really bring something to the characters, fleshing them out and bringing them to life. 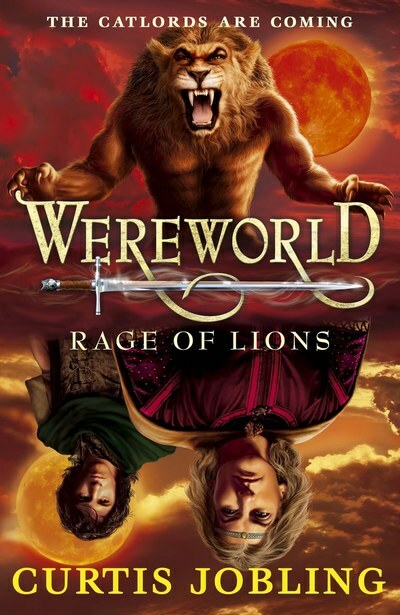 Rage of Lions picks up the plot considerably compared to Rise of the Wolf, which was rather journey-ous, unlike its sequel where betrayal, love, and war are key parts of the plot. The scope of Rage of Lions has massively increased, incorporating not just Drew, but also points of view from a great number of the frankly giant cast of characters. Jobling’s “battle prose” is entertaining and pushes the story forward at a good rate. Rage of Lions is a great improvement on the solid base of Rise of the Wolf. The characters really come to their own, and the innumerable battles drive the story onward. At times, Rise of Wolf will have you hating and loving the various characters- some of Jobling’s villains are extremely detestable, whilst his protagonists are extremely loveable! Rage of Lions is a fantastic followup to the enjoyable Rise of the Wolf. 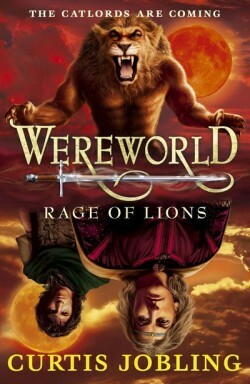 What did you think about Wereworld: Rage of Lions?